Himalayan beauty naturel trip has been tailor made for Nepal Guide Info Team in Nepal. 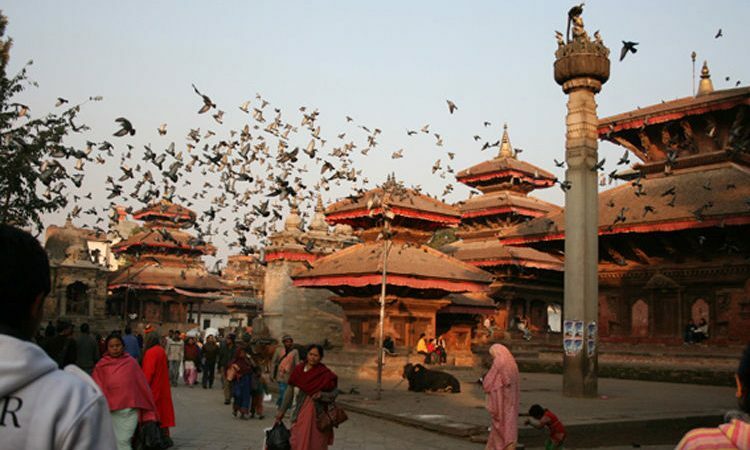 The trip itinerary includes such activities as world heritage UNESCO listed spots eg Kathmandu, Durbar Square, Patan, Bhaktapur, a mount Everest flight and the most natural city in Nepal, Pokhara. Nepal is an ecstatic mix of adventure, religion in Himalayas, wildlife and heritage. The state is blessed with the divine power of beauty of nature. Even after you leave the city, it lingers in your mind and flashes images which keep you linked to the city forever. It is nestled in the Himalayas and casts its magic on the travellers who come there looking for serenity. We at, Nepal Planet Treks, have customized certain Nepal tour packages which will help you understand the mystic nature of Nepal and Himalayas . Upon arrival in Kathmandu you will be greeted by our Nepal Planet Treks and transferred to your hotel. We will brief you on the trip details and the rest of the day you will have free. Overnight at hotel. We will have an early morning transfer to Kathmandu domestic airport for our Everest flight. Only awe-stricken silence can come close to match the experience of going on a mountain flight to encounter the tallest mountains of the earth. Mountain flights offer the closest possible aerial views of Mt. Everest, Kanchenjunga and the Tibetan Plateau. Mountain flights appeal to all category of travelers and have become a popular tourist attraction of Nepal. For those who are restricted by time or other considerations from going trekking, these flights offer a panoramic view of the Himalayas in just one hour. We return back to hotel for breakfast, then go on a tour of Kathmandu city including world heritage UNESCO listed spots such as Boudhanath, Pashupatiath, Swayambhunath and, after our lunch break Patan. Overnight at a hotel on B.B basis Nepal Planet Treks organized best hotel in town . After breakfast we drive to the picturesque village of Pokhara. 200 KM takes about 5/6 hours with our private vehicle. Once in Pokhara we do some boating in Phewa Lake and in the evening we explore the city. Stay overnight at a hotel on B.B basis. We take an early morning drive to Phewa Lake where we take a short walk up to World Peace Stupa above the lake. From here we can see the views of the entire Annapurna Range. On the way back to the hotel we visit David falls as well as Gupteshwor cave. Back at the hotel we have lunch (not included) and rest at hotel for the rest of the day. Stay overnight at the hotel in Pokhara on B.B basis. We drive back to Kathmandu by tourist coach. We then drive to Nagarkot by private car/van for an excellent view of the snow-capped Himalayan Ranges, renowned for their spectacular sunrises. Stay overnight at the hotel in Nagarkot on B.B basis. After breakfast we drive back to Kathmandu and visit Bhadgaon enroute. Bhadgaon, also known as Bhaktpur (meaning the city of devotees), is the home of medieval art and architecture. From here we drive back to Kathmandu, where you will have the afternoon free to rest or do some last moment shopping. Stay overnight at a hotel in Kathmandu on B.B basis. All the accommodation as per itinerary with twin/double sharing on BB basis; Entry fees; Permits; English speaking tour guide; Everest Mountain Flight; All local transportation by private vehicle as per itinerary; All pick up drop services; All applicable taxes and service charges of nepal planet treks.